Secure E-mail Messages Exchange is a software tool that is especially developed to secure E-mail messages exchange and storage on public and private E-mail hosting infrastructure such as Gmail, Hotmail, Yahoo, AOL, Outlook, etc. SEMEX utilizes the two main concepts of cryptography, Encryption and Steganography. 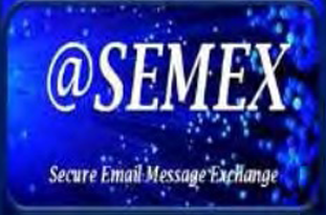 In particular, instead of directly exchanging the user plaintext message over the unsecure communication link, SEMEX exchanges a stego image as an attachment. The stego image hides an encrypted copy of the plaintext message into a user pre-chosen cover image. SEMEX is very secure, easy to install and use, it also interactive with many helping tips and warnings for critical actions. All users can use SEMEX by following activation and registration procedure before using. The activation procedure will be done only once when activating SEMEX for the first time on the computer. To run SEMEX, the user should enter a valid and registered username and password, which usually chosen by the user during the activation procedure. The objectives, expertise and capabilities of the Group's engineering, scientific, technical, administrative and financial companies are integrated with each other to provide integrated solutions for projects including: Feasibility studies, planning, engineering design, implementation, inspection, operation, maintenance and after sales services, as well as providing engineering, administrative, financial and project management consultancy services based on qualified, distinguished and professional elite of experts, academics, engineers, technicians and administrators. In conclusion, with SEMEX the user can exchange privet or public E-mail hosting infrastructure with absolute confidence that the E-mail messages are only read by the user and those whom authorized.